Property developer Danoj Developments has secured over €1.3 million funding from Lotus Investment Group, to support its plans to redevelop 133 James’s Street, Dublin 8. Planning permission has already been given for a mixed use development comprising three new high end apartments with a ground floor commercial unit for a café/retail space. Financing for this latest development by Danoj Developments has been arranged by Seaspray Financial Services, a specialist financial advisory firm, providing corporate finance and investment management services. 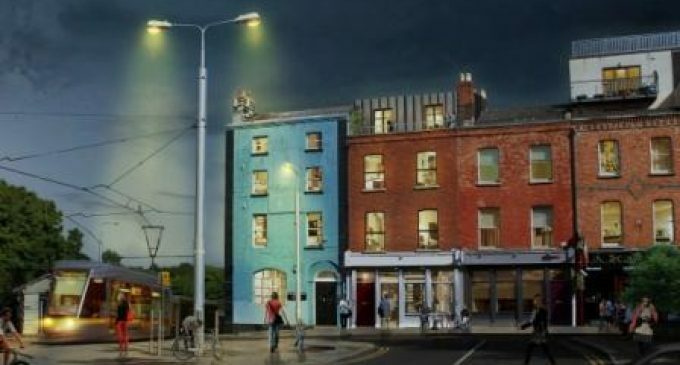 Danoj Developments is engaged in the careful and considered renewal and revival of buildings in Dublin City with a focus on areas that are challenging, changing and charged with opportunity. Danoj Developments, Managing Director and owner, Daniel MacAuliffe is a serial Irish entrepreneur who has established a range of businesses, primarily in London, over recent decades. He founded the Class1 Group in the UK and Danoj Developments Ltd in Ireland. His co-director in Danoj Developments, Anoj Don brings the experience of the group’s London based construction and investment works to bear on the overall strategy of the company. Danoj Developments is also set to begin construction on the famous No 1 Capel Street/1a Lower Ormond Quay site, a historic four-storey over basement corner building of national importance along the north quays of the river Liffey in Dublin. It is more widely known in the recent past for the fact that it has been unoccupied for about 20 years despite being in such a prominent location with unrivalled views and across to City Hall and Parliament Street.